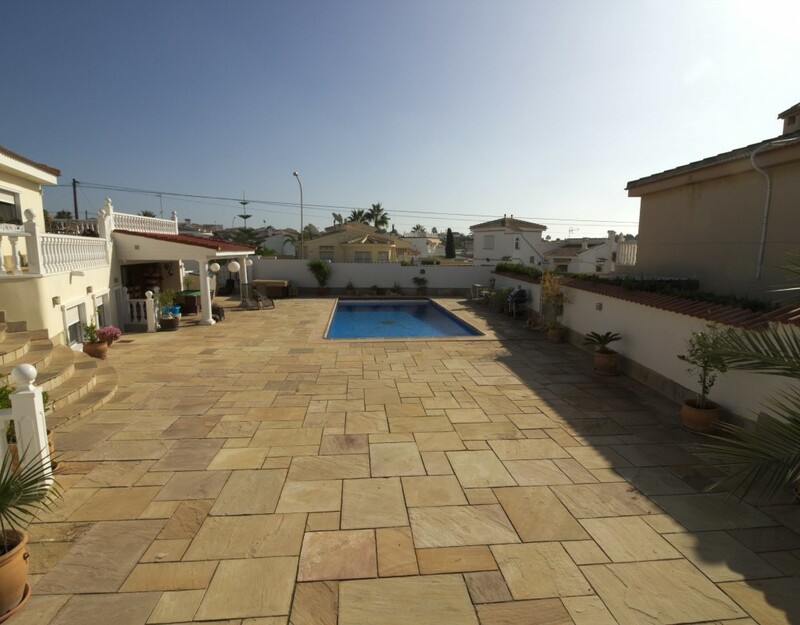 This outstanding, spacious & very stylish five bedroom detached villa is located in a very sought after area of Ciudad Quesada on the Costa Blanca South. 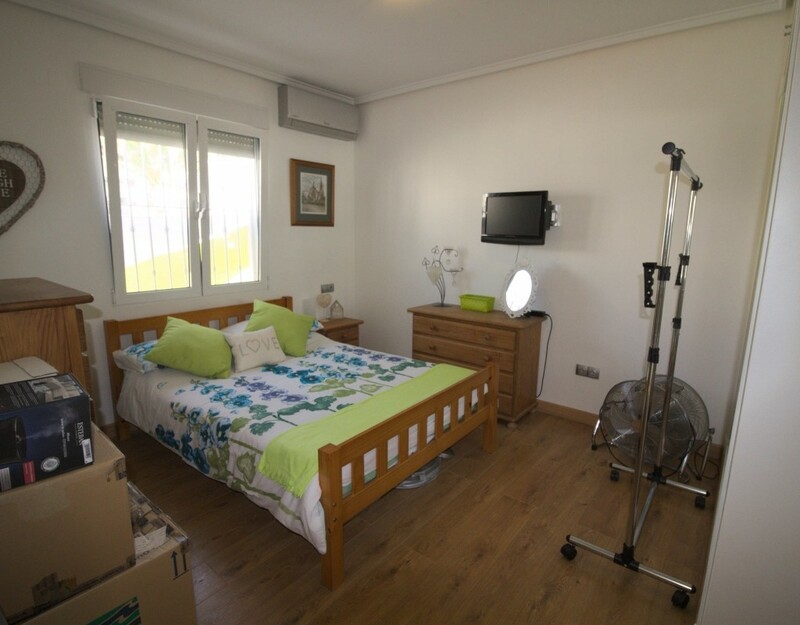 Situated within walking distance to several local amenities including bars, restaurants, the Quesada Country club and the bowls and snooker club. 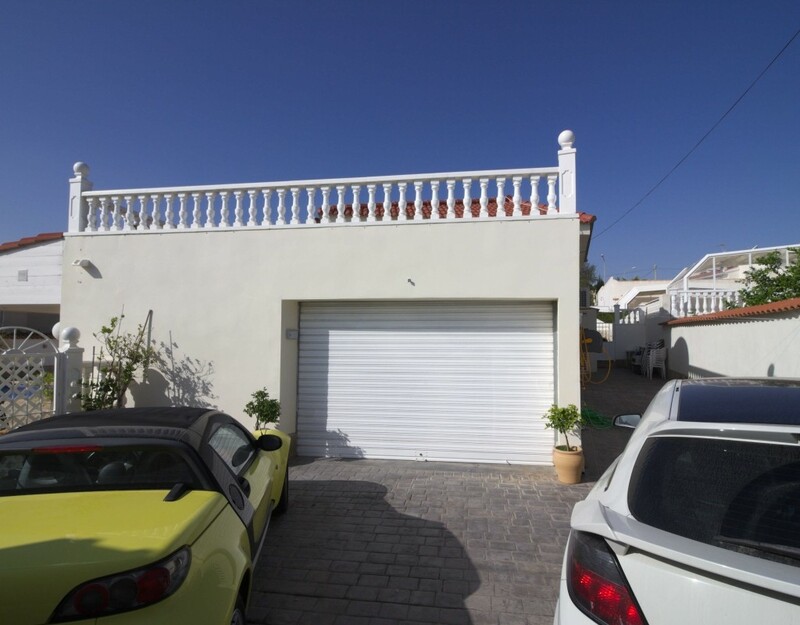 Also close by you have the ever popular Quesada high street with it famous arches , many bars and restaurants, two new shopping boulevards, banks, petrol station, pharmacy and much much more.. 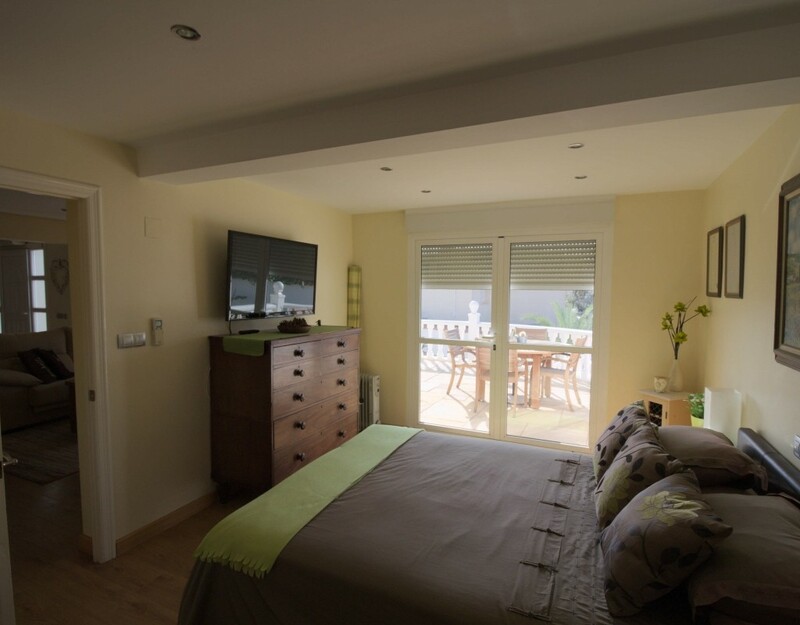 The wonderful La Marquesa golf course is also nearby with its lovely clubhouse and many very good bars and restaurants plus Quesada has its very own Aqua park, great fun for all the family. 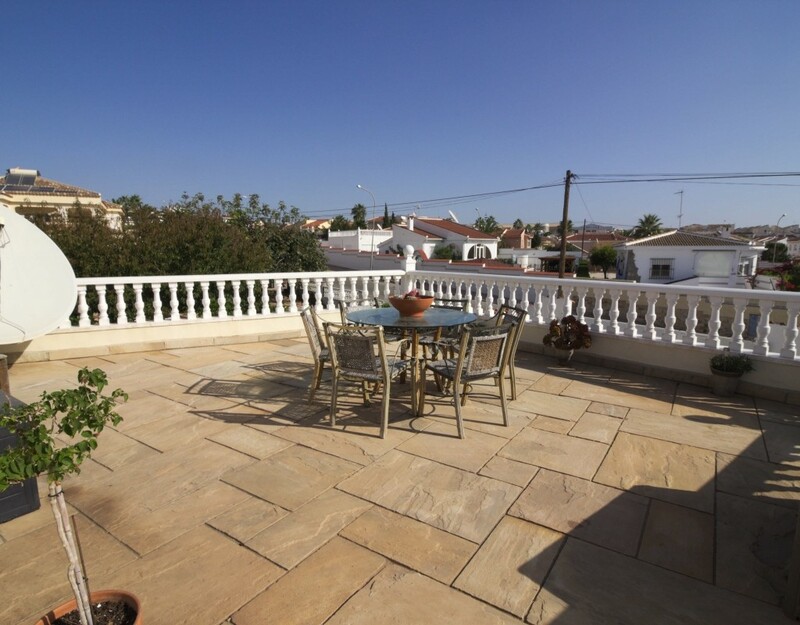 The main part of the villa is accessed by a feature staircase with two large sun terraces on either side, one overlooking the garden and the other overlooking the pool and offering lovely lake views. 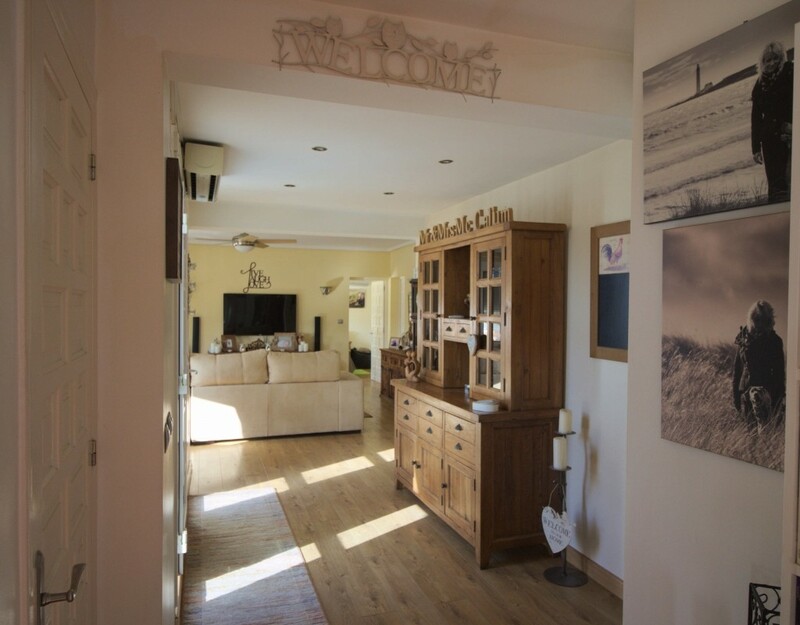 As you enter the property you are immediately hit by the amount of space on offer and how light and airy it is. 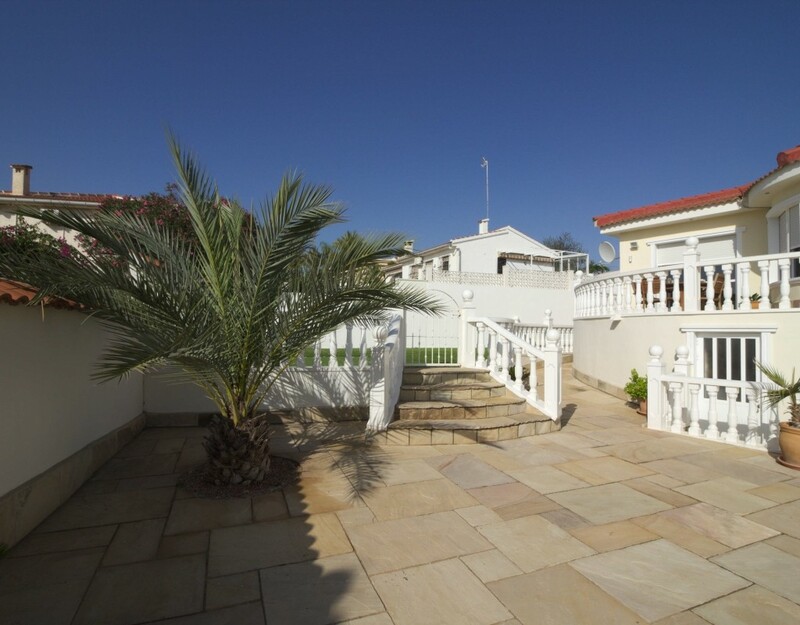 There is an entrance hallway and the villa is then split into two areas, to the left you will find the original villa which offers; a truly stunning & very large lounge with triple aspect windows, the original master bedroom with access out onto the large front sun terrace plus a modern en-suite bathroom with walk in shower. 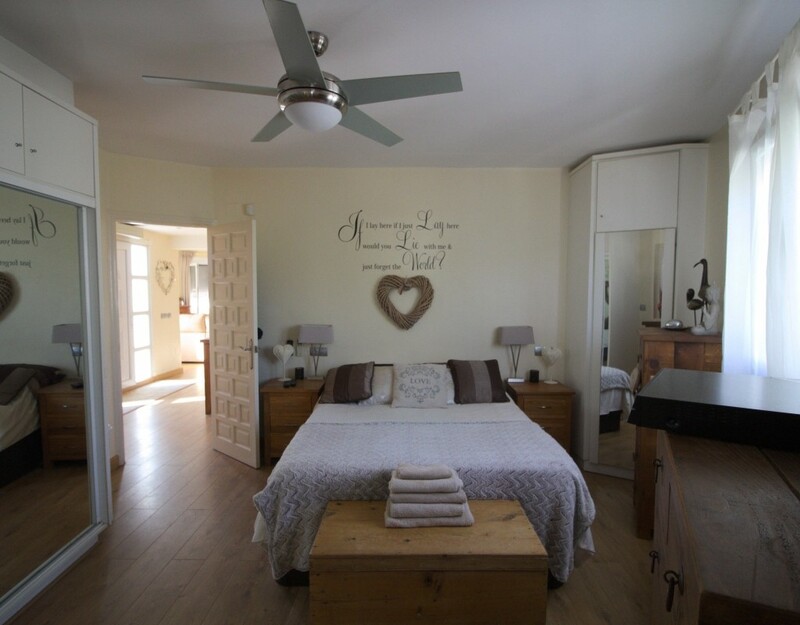 There are two other guest bedrooms in this area, one currenty used as an office plus a terrific family bathroom with large walk in shower. 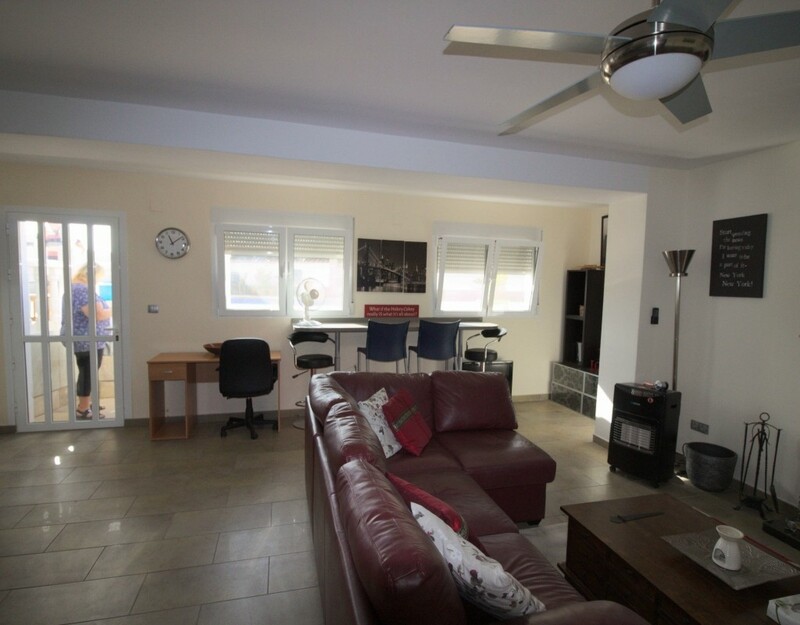 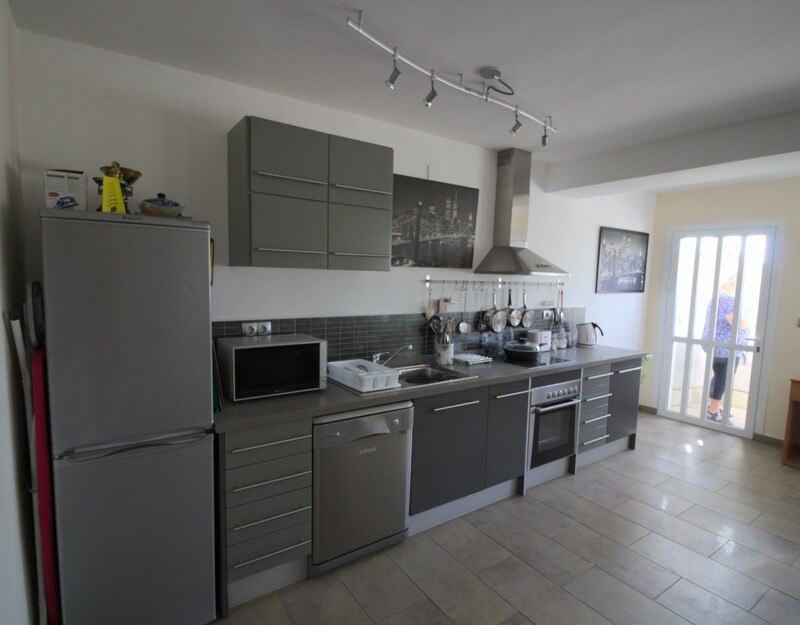 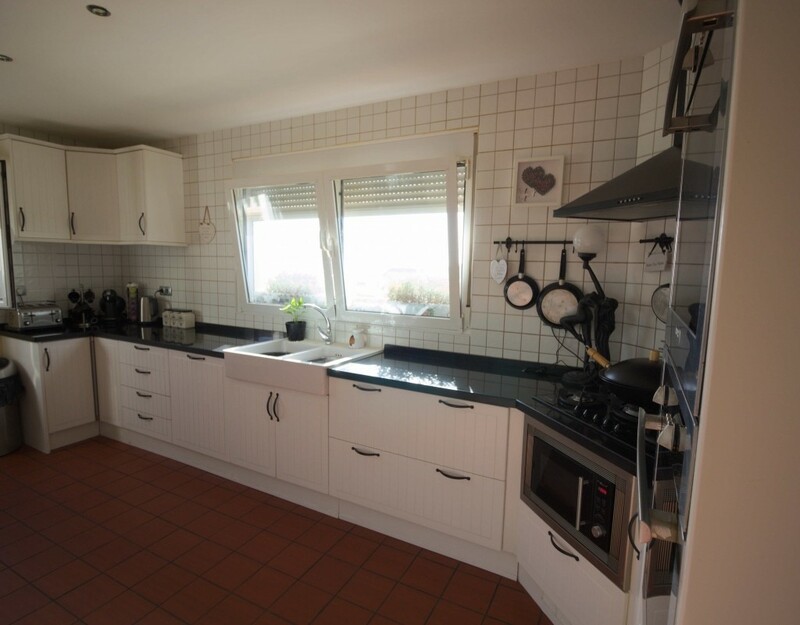 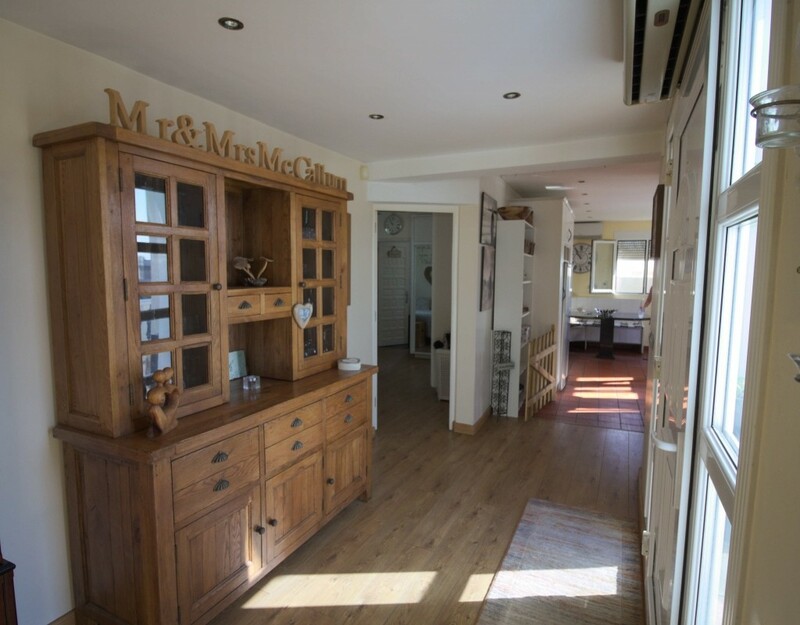 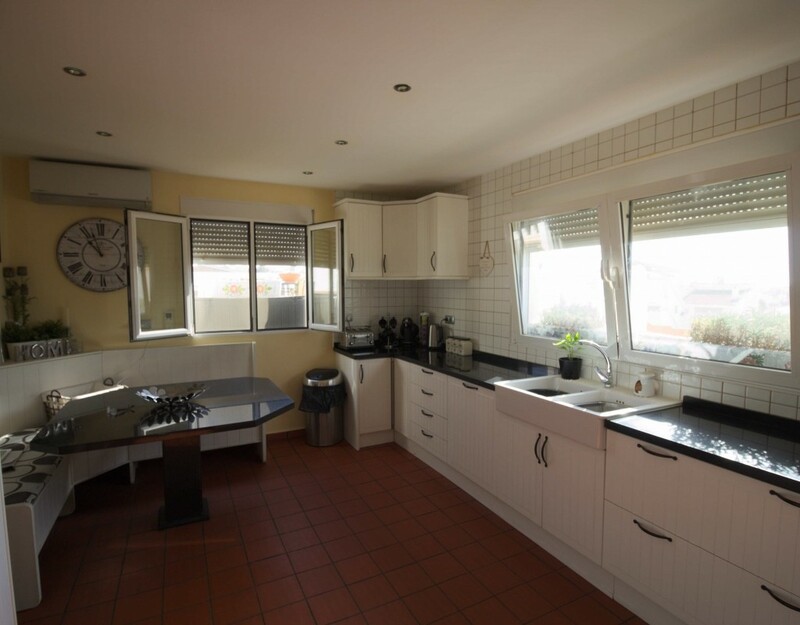 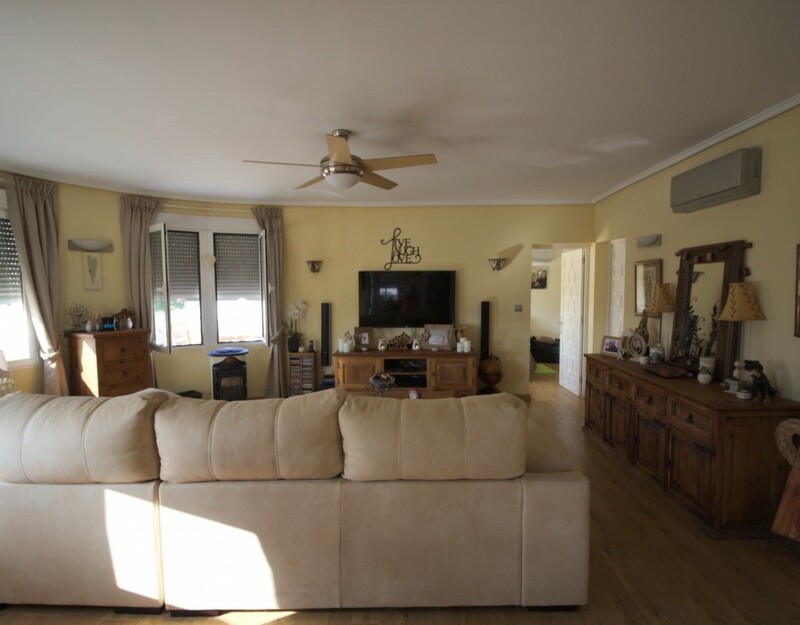 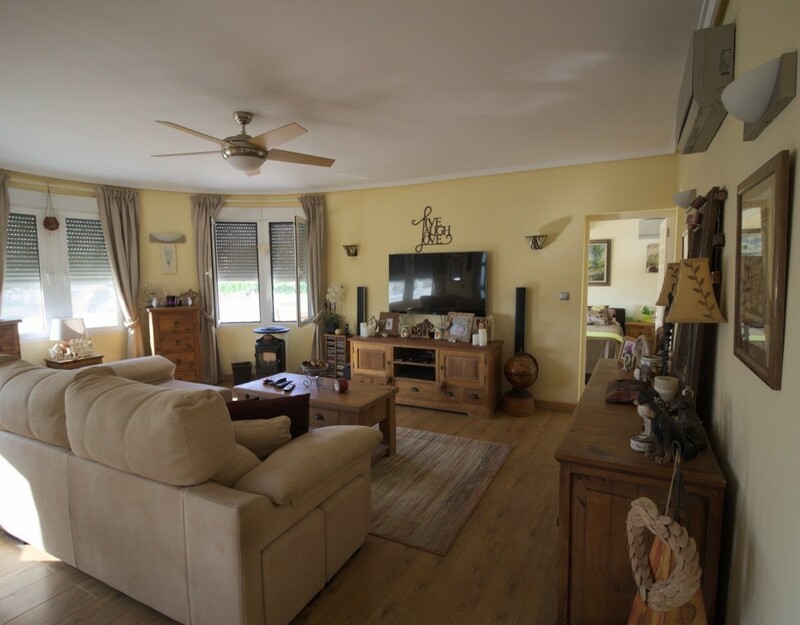 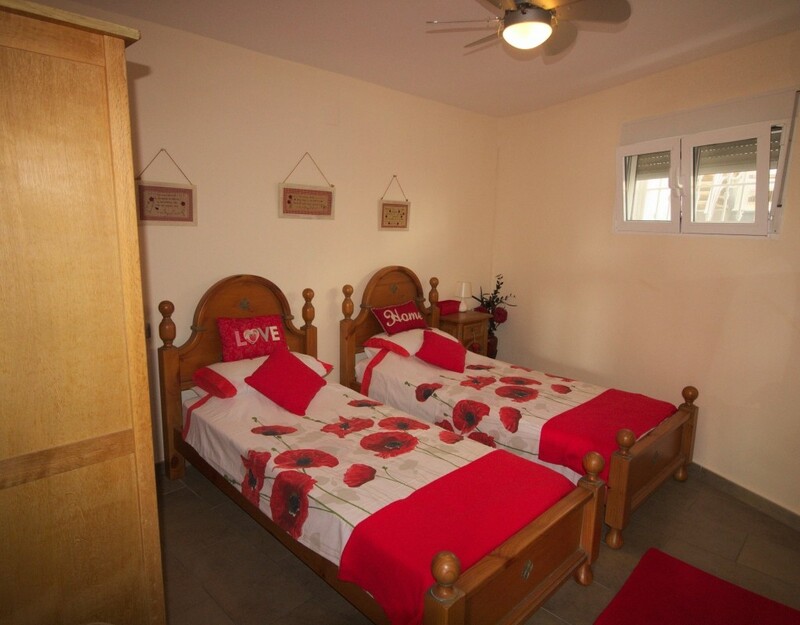 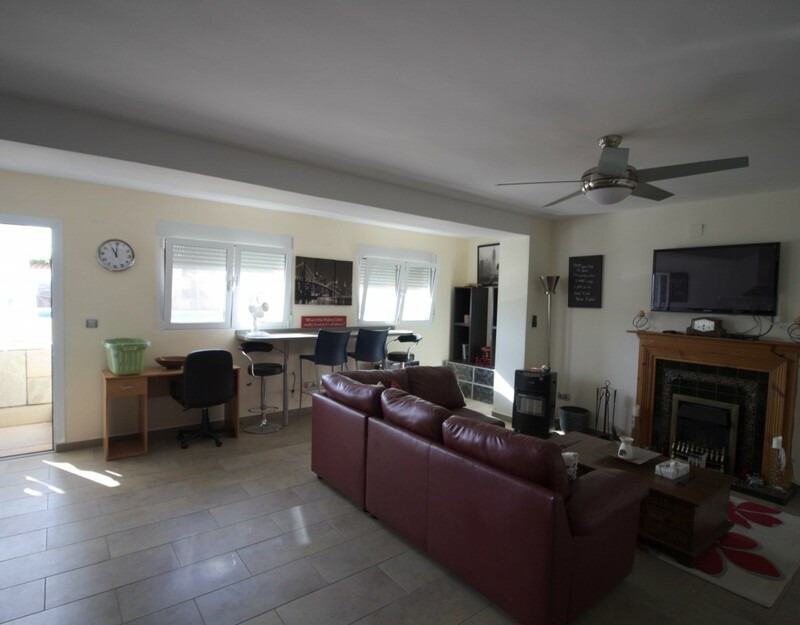 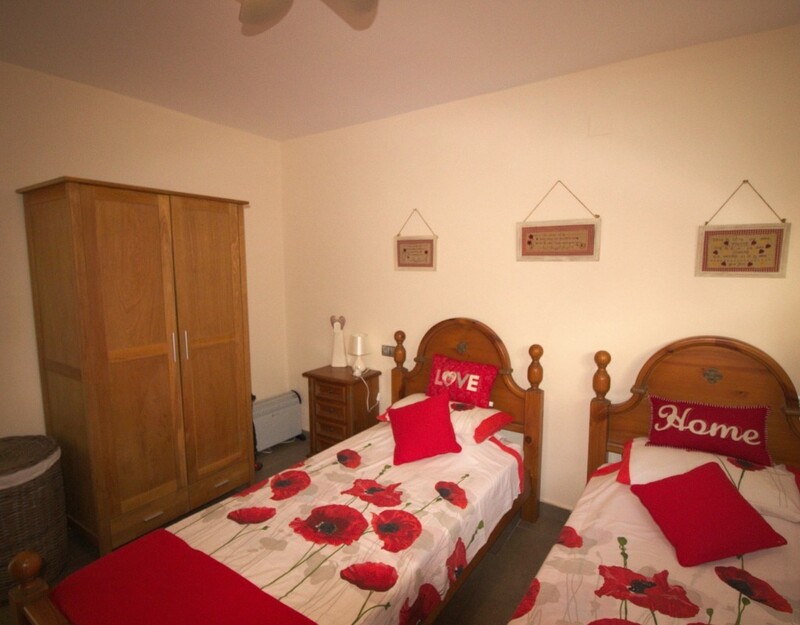 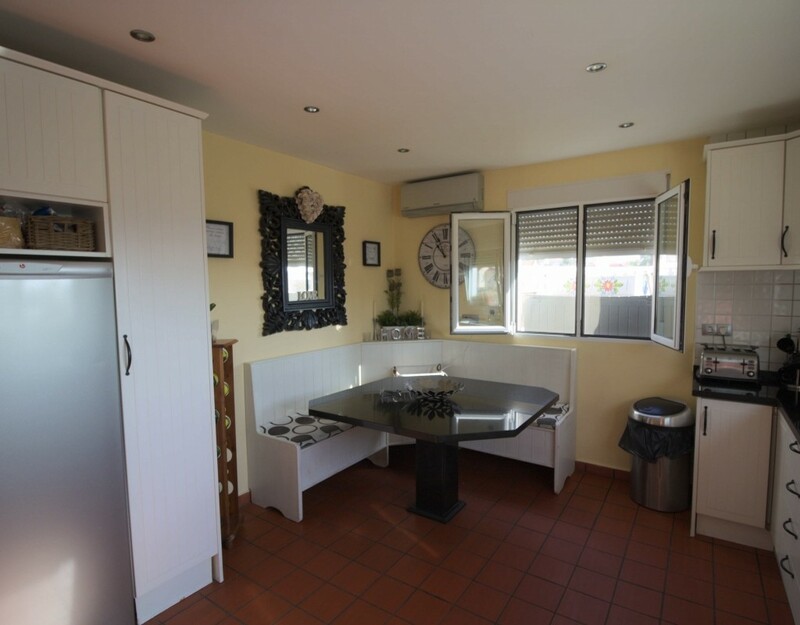 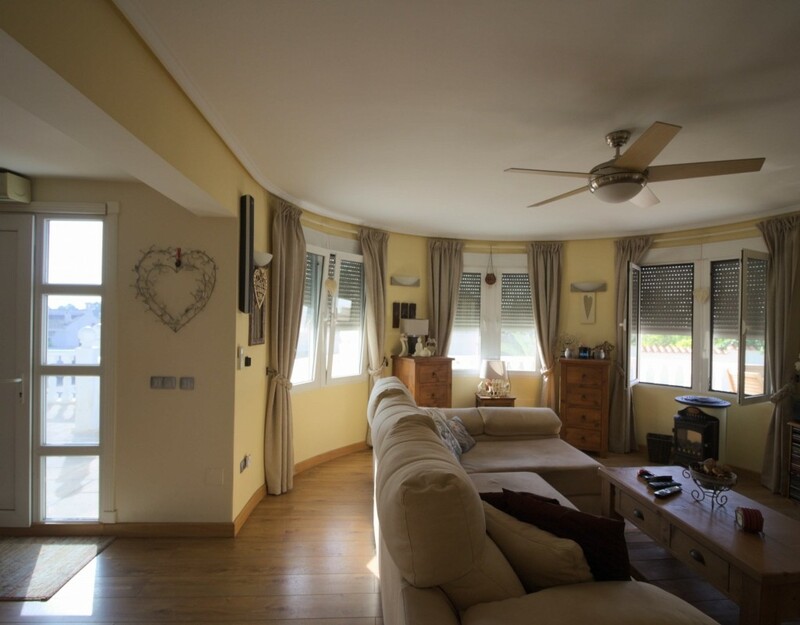 To the right of the hallway is the newer extended part of the villa which offers a very spacious fully equipped kitchen with a lovely breakfast area in the corner and fantastic pull out cupboards for extra storage space plus a utility cupboard. 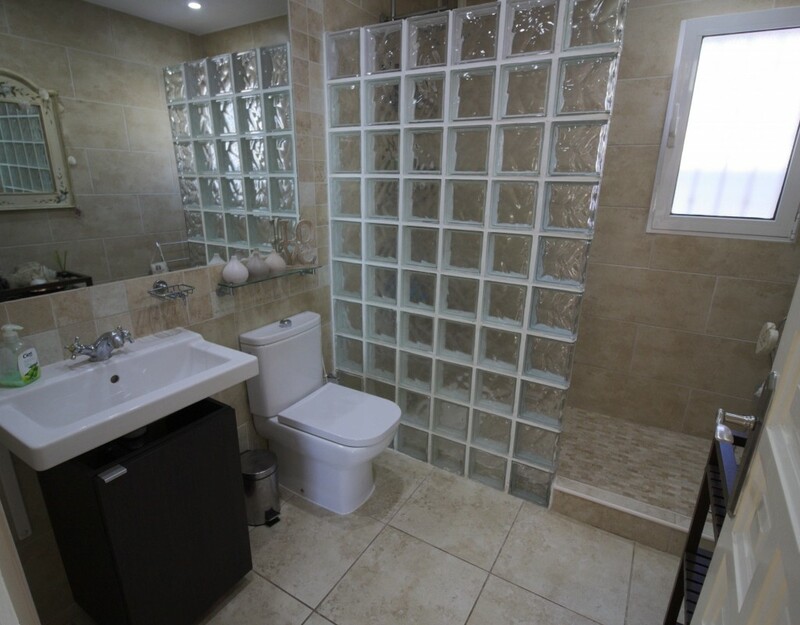 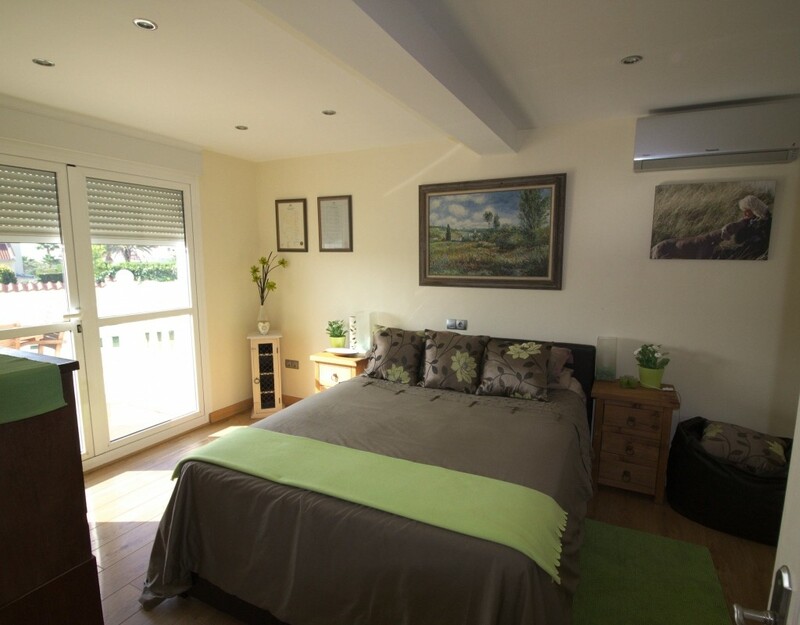 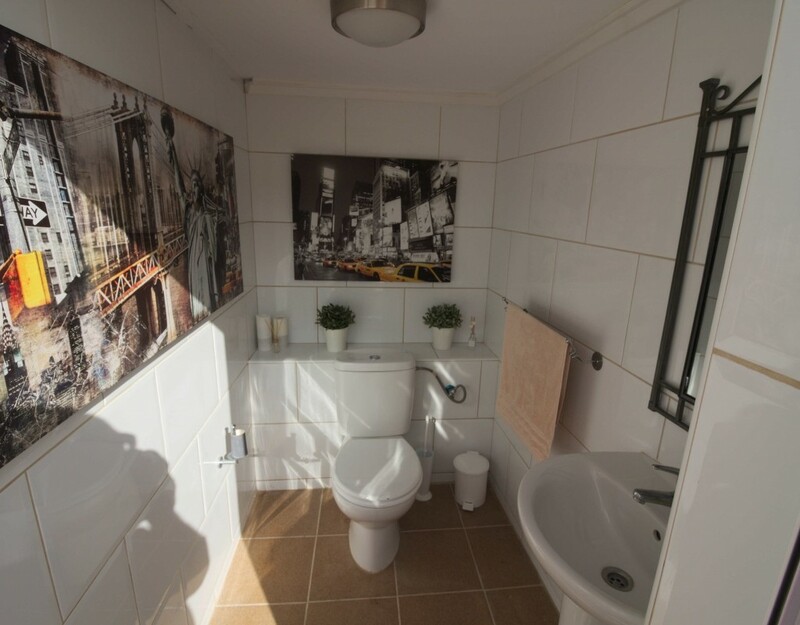 There is also another master bedroom with a fabulous en-suite bathroom which benefits from a jacuzzi bath. 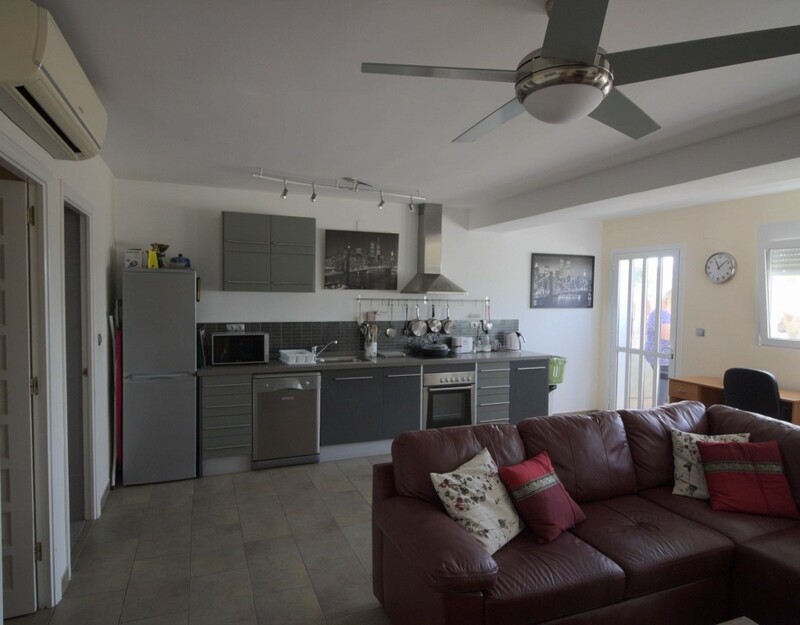 Outside you will find a separate entrance to the really amaxing completely self contained apartment which offers; a large lounge with a feature fireplace, a breakfast bar area, a fully fitted stylish and well appointed kitchen, a very large double bedroom and a lovely modern shower room. 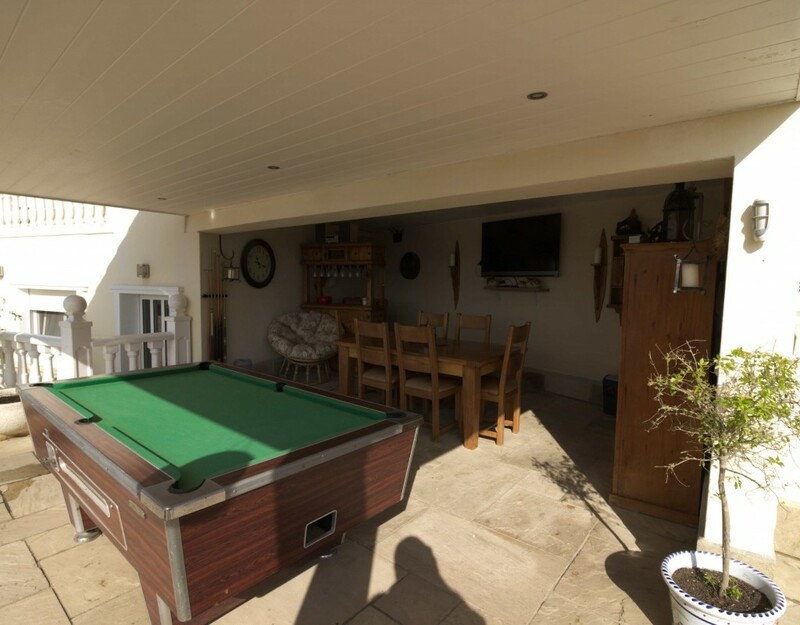 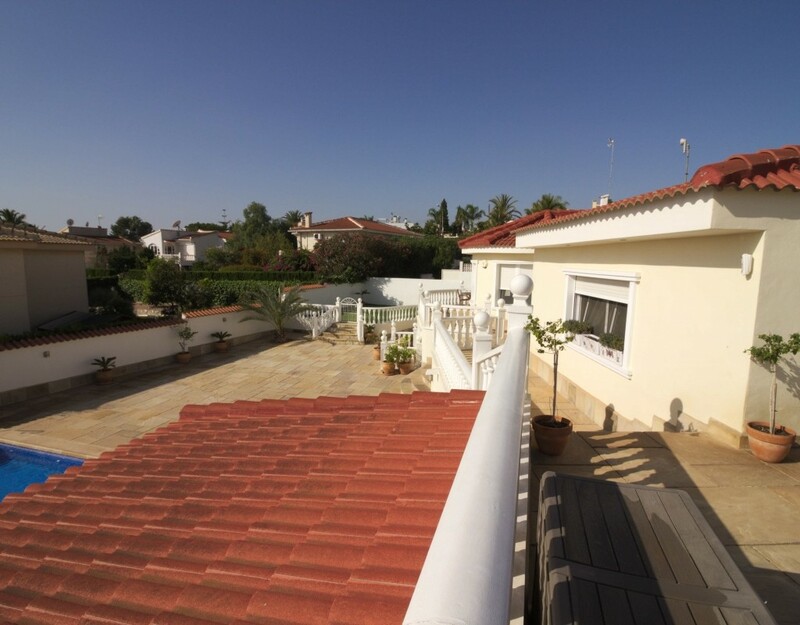 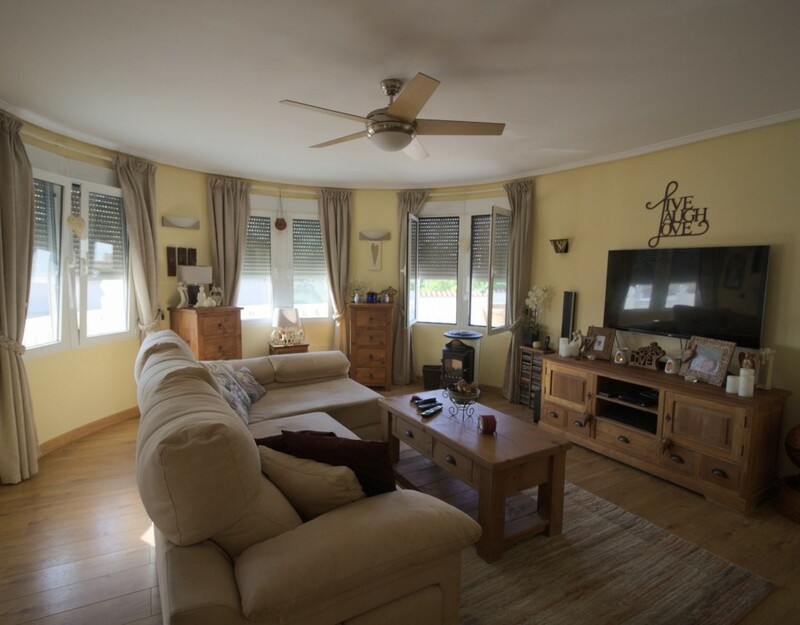 This area is a real hi-light of this property and is just ideal for visiting family and friends as it has direct access out to the garden and pool area. 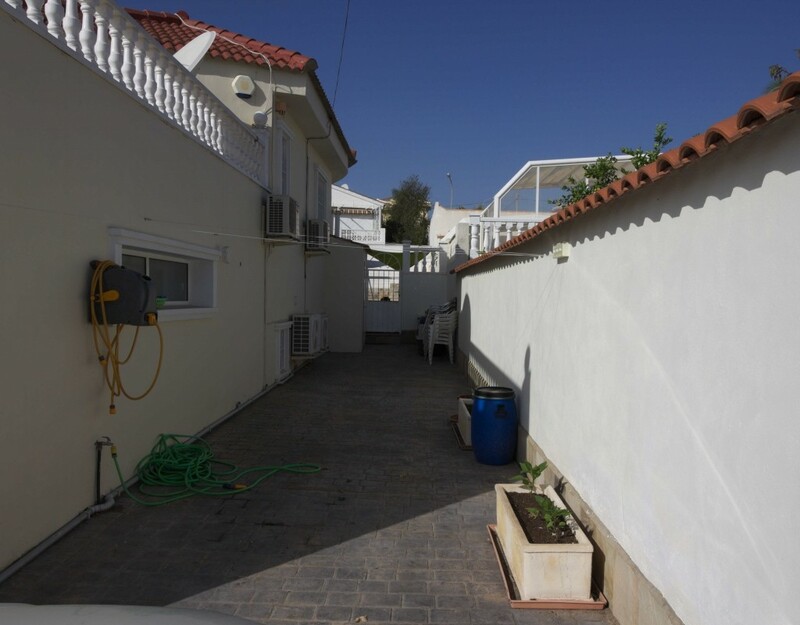 Outside there is a very large easy maintenance South facing plot of 900m2 which offers; a wonderful 10 x 5 swimming pool, a covered dining area with a bar and pool table, a jacuzzi, a large garage with off-road parking for several cars, a very large storage area, an ouside toilet ideal for when using the pool area, a putting green for keen golfers plus a sectioned off dog kennel area The whole area has been tiled with stone giving it a real feel of luxury. 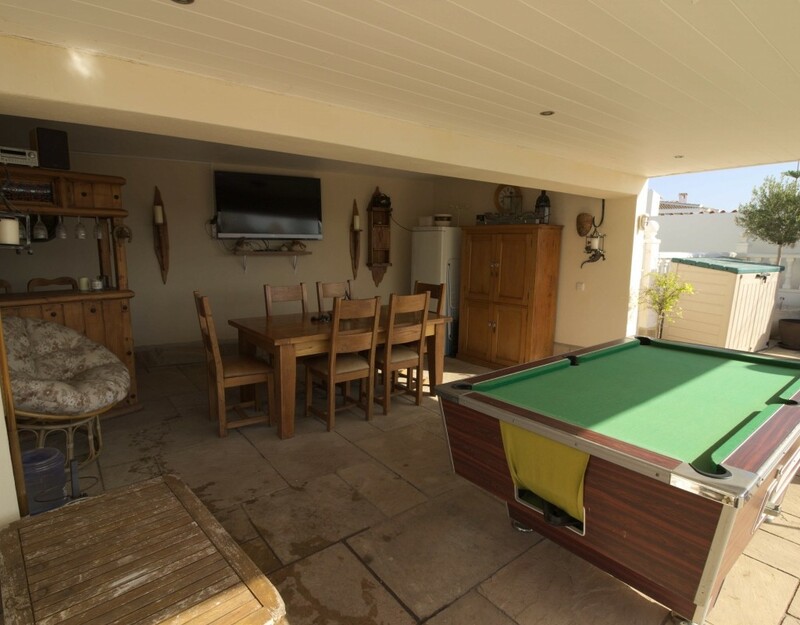 The current owners have completely refurbished the whole property with no expense spared and the quality shows everywhere. 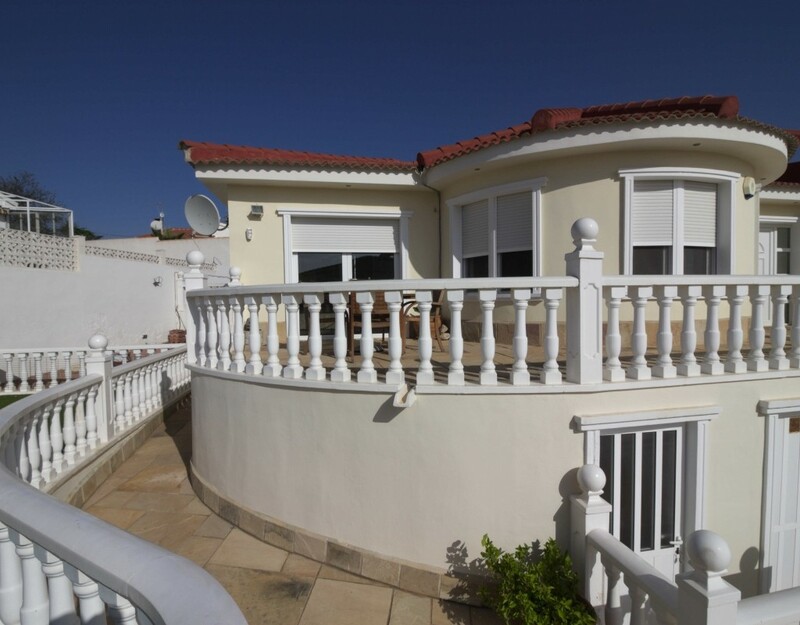 The villa will be offered for sale furnished with high quality furniture and furnishings including a wooden effect floor throughout. 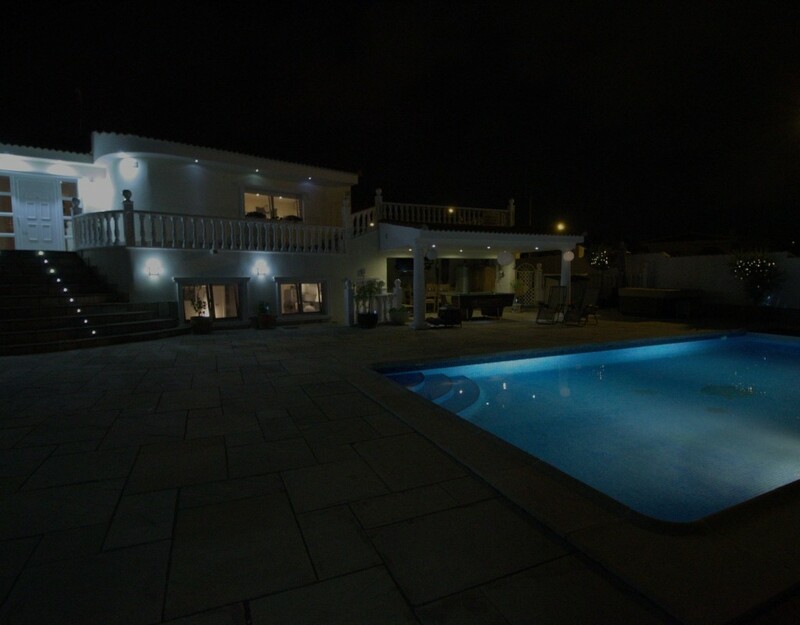 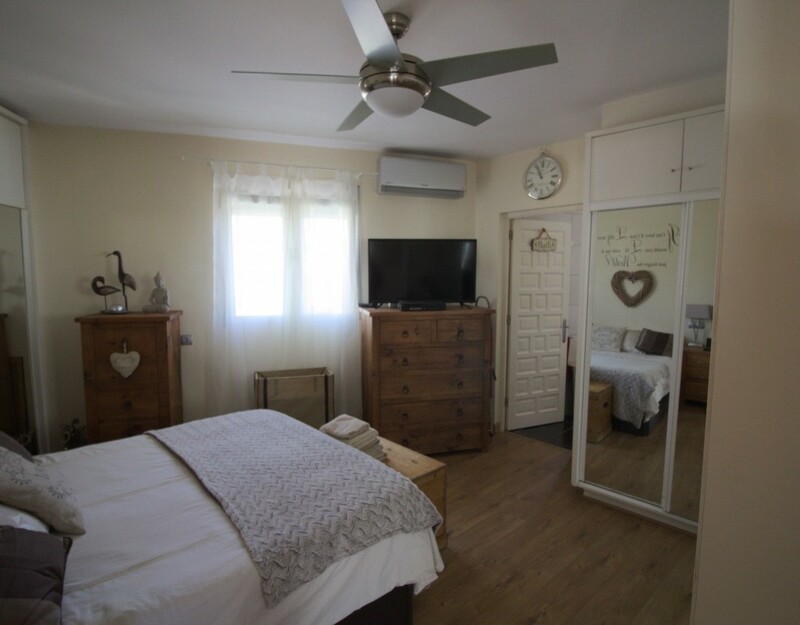 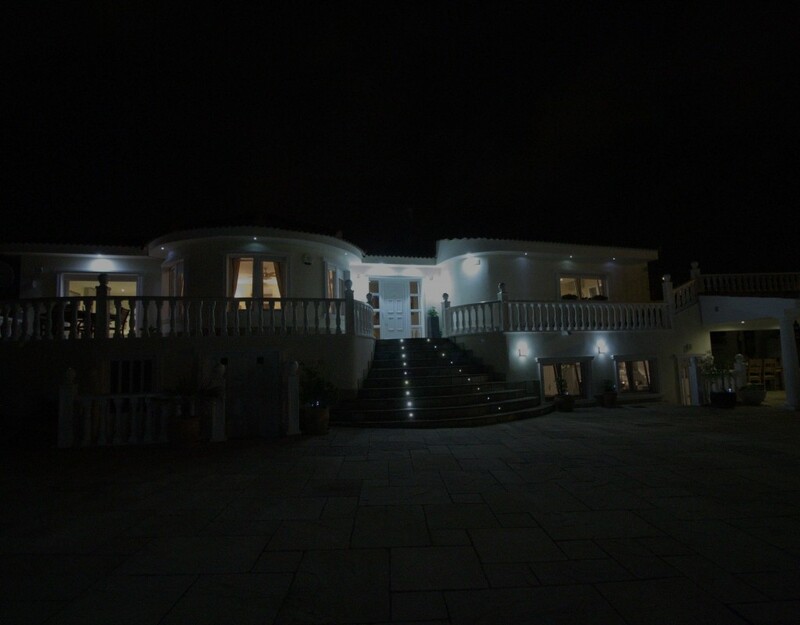 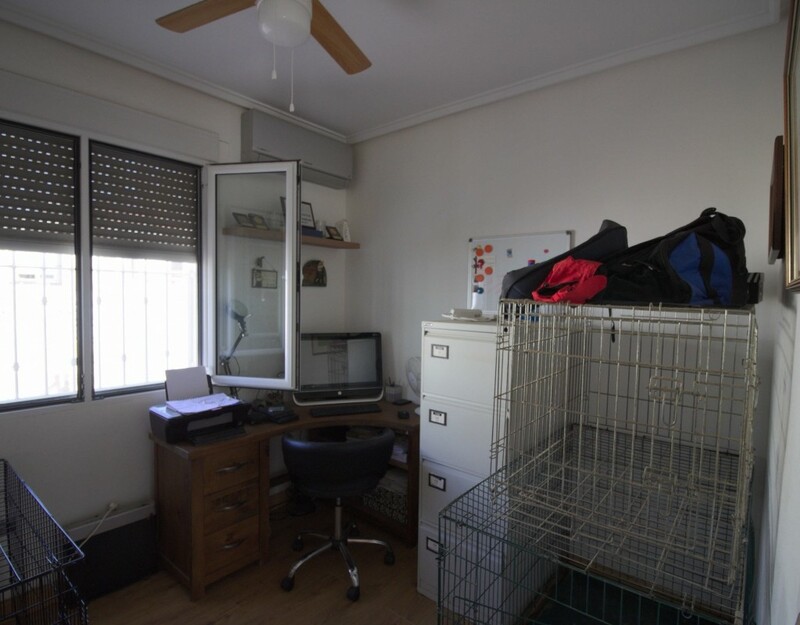 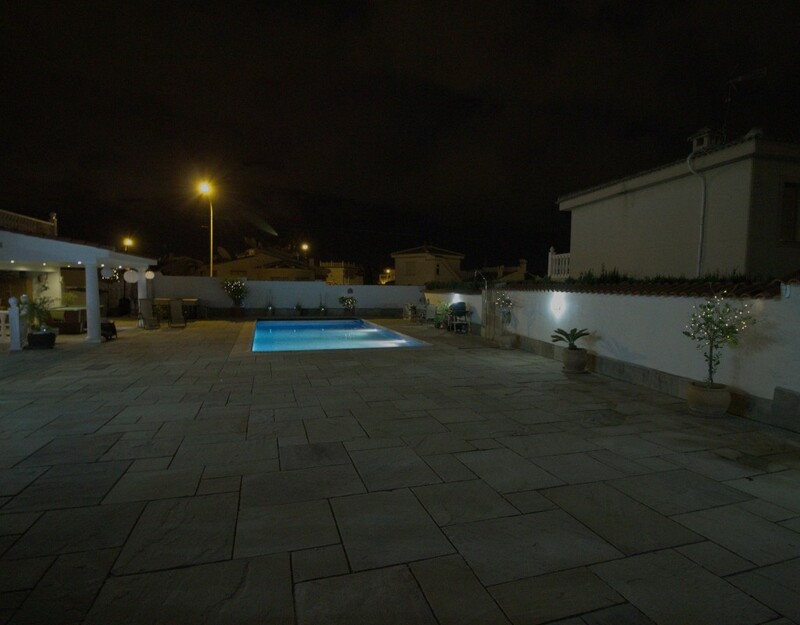 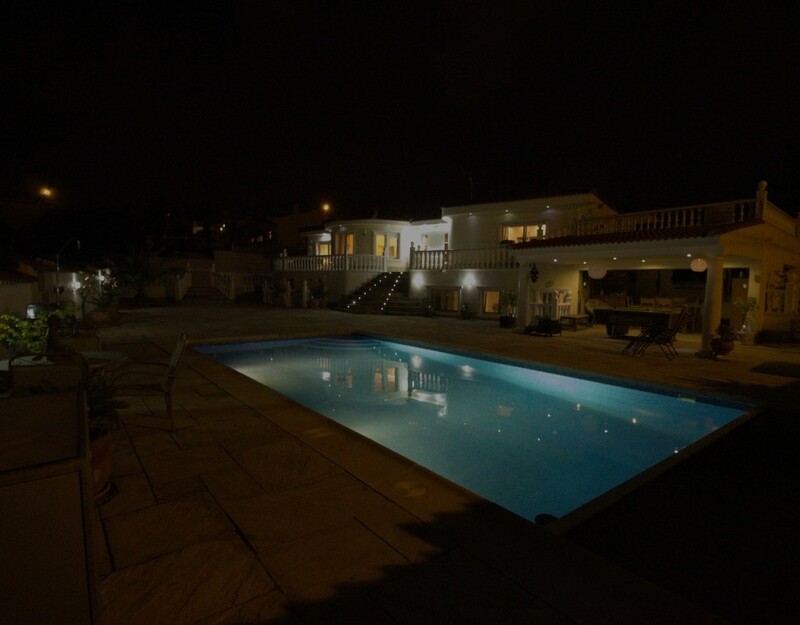 The property further benefits from; fitted wardrobes, air con, ceiling fans, electric blinds, an alarm system which is also fitted around the gardens with sensors, electric entrance gates with video calling and larger than normal windows throughout creating so much light. 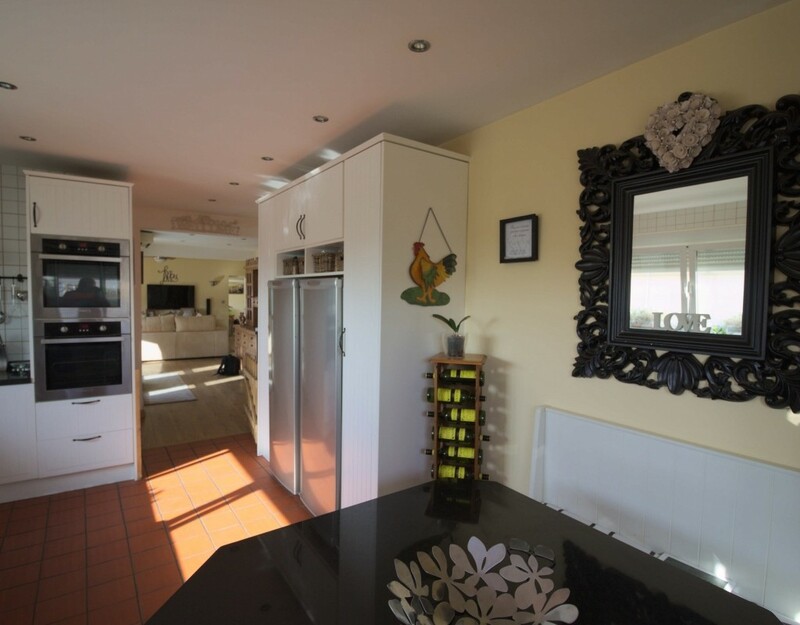 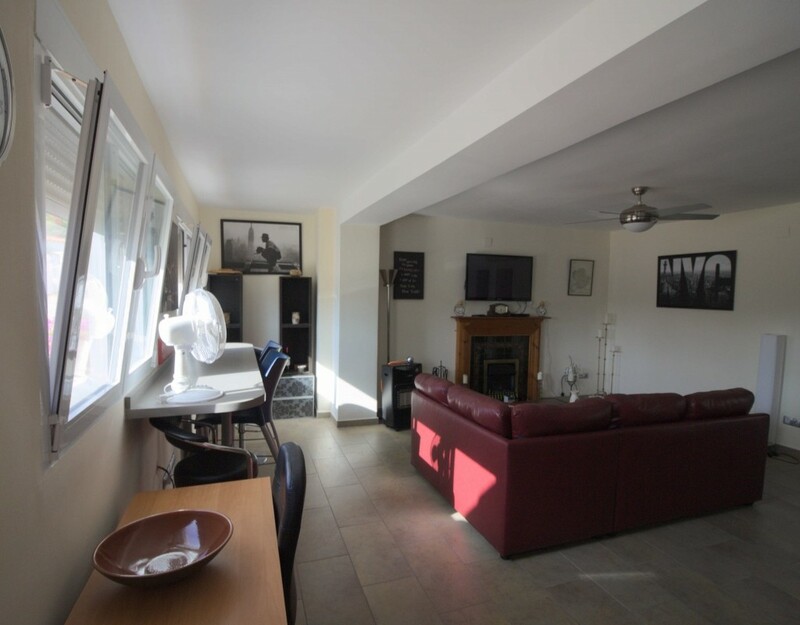 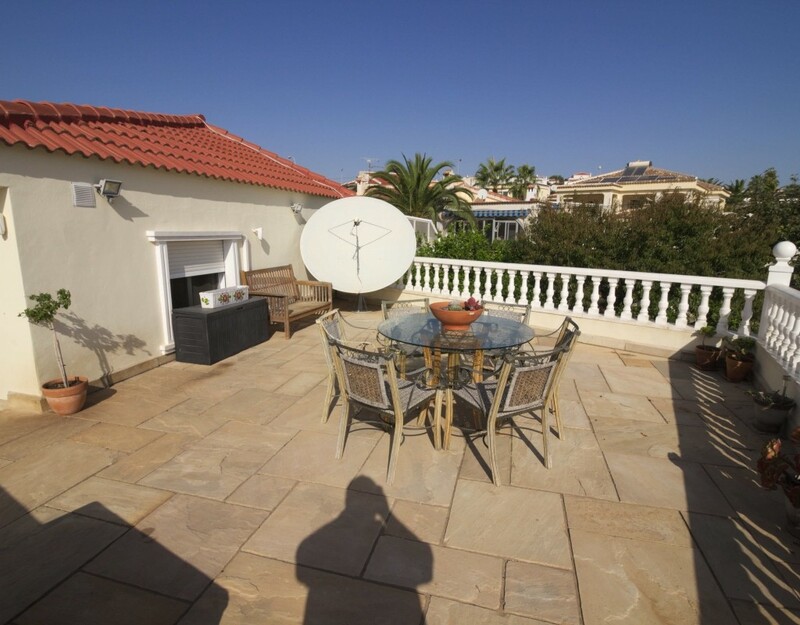 This property should be viewed to fully appreciate the space and quality on offer. 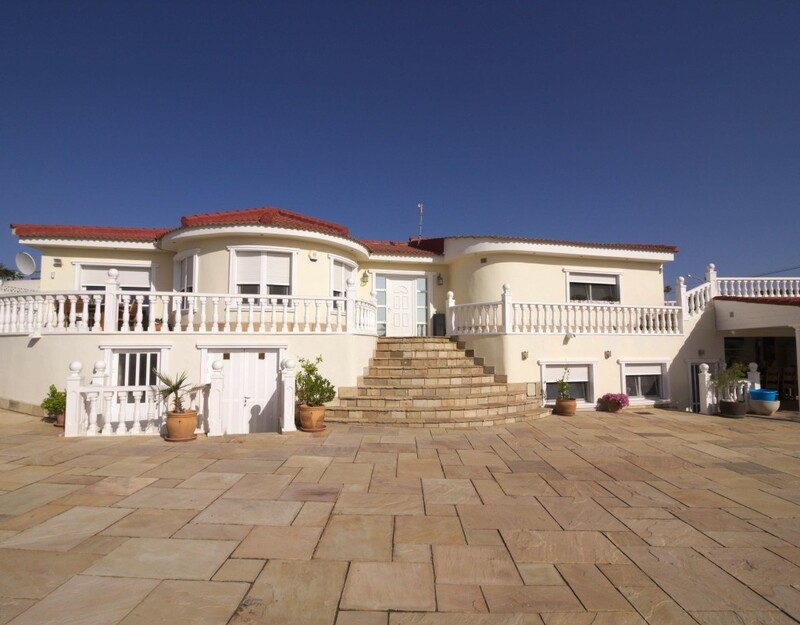 It has been priced to sell quickly so early viewings are advised!! 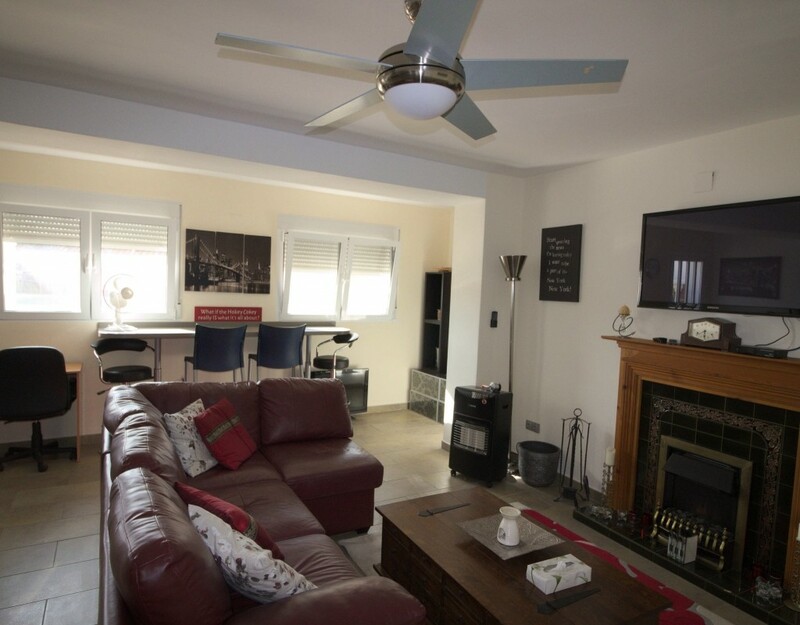 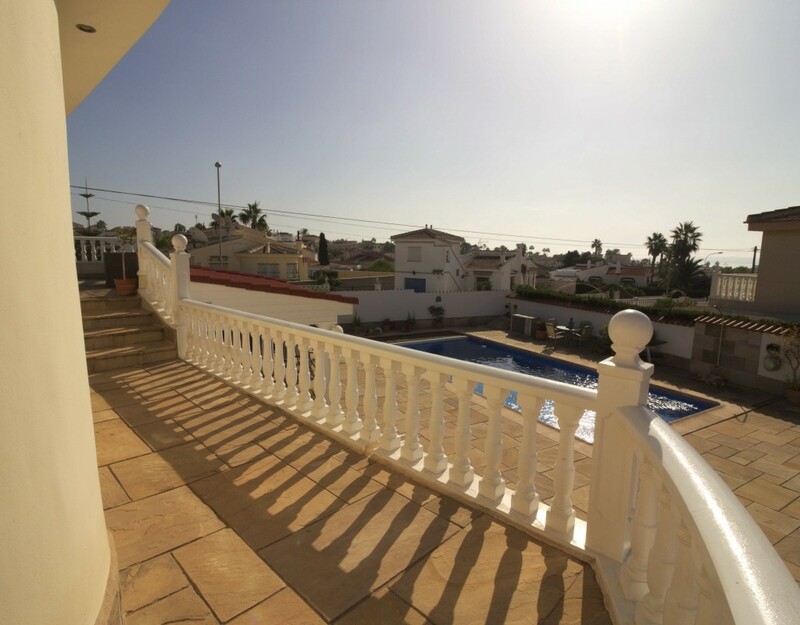 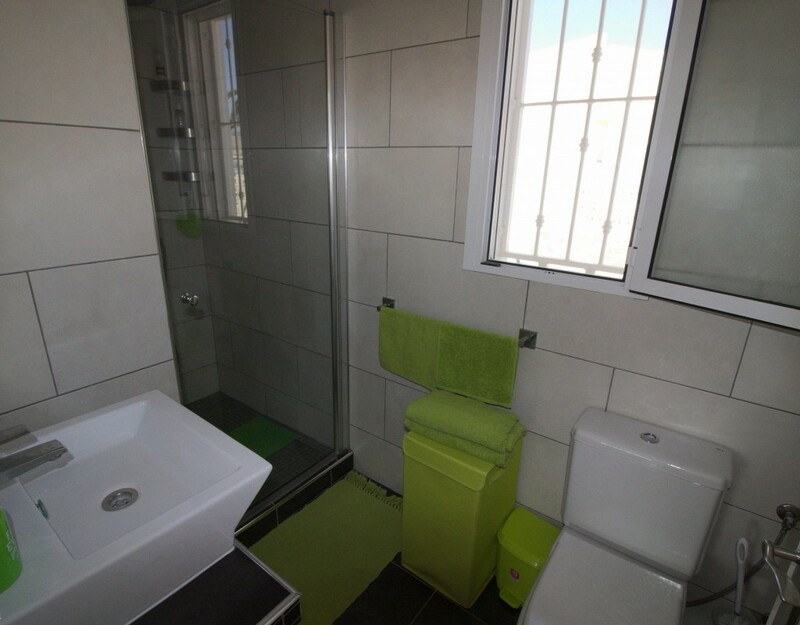 Ciudad Quesada is located in Rojales and is a very prestigious and sought after urbanisation on the Costa Blanca South with a mixture of nationalities such as Scandinavian, Dutch, German, Spanish and English. 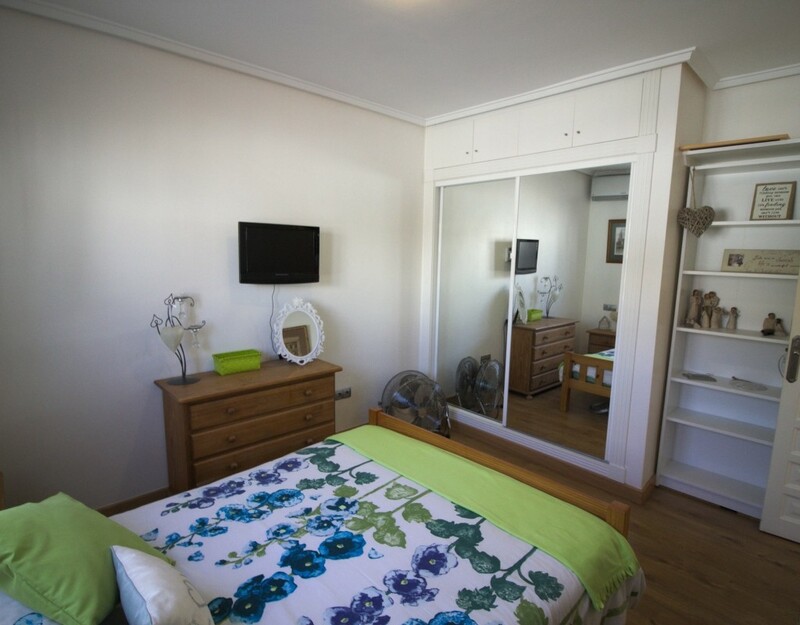 It has its own bustling high street with many good restaurants and bars, shops, petrol station, medical centres, farmacias, four star luxury hotel, Water park and of course the famous La Marquesa golf course. 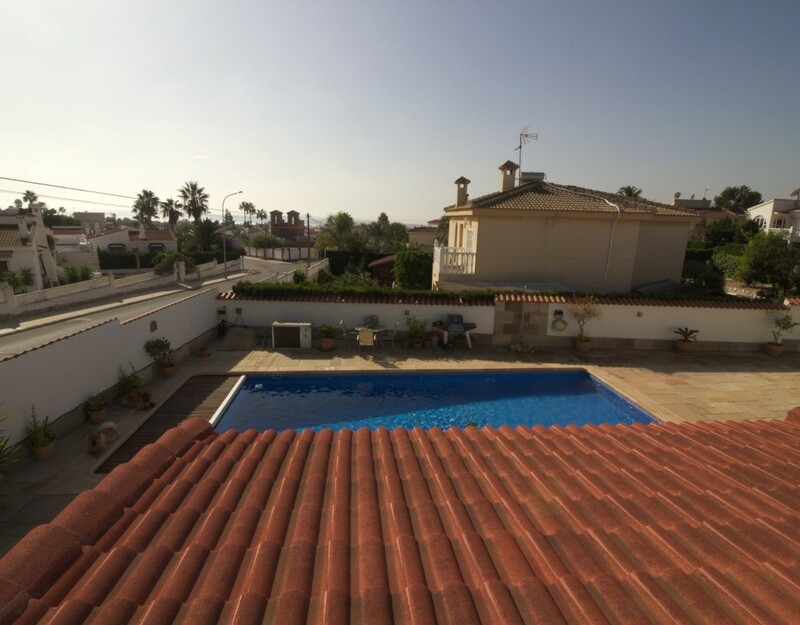 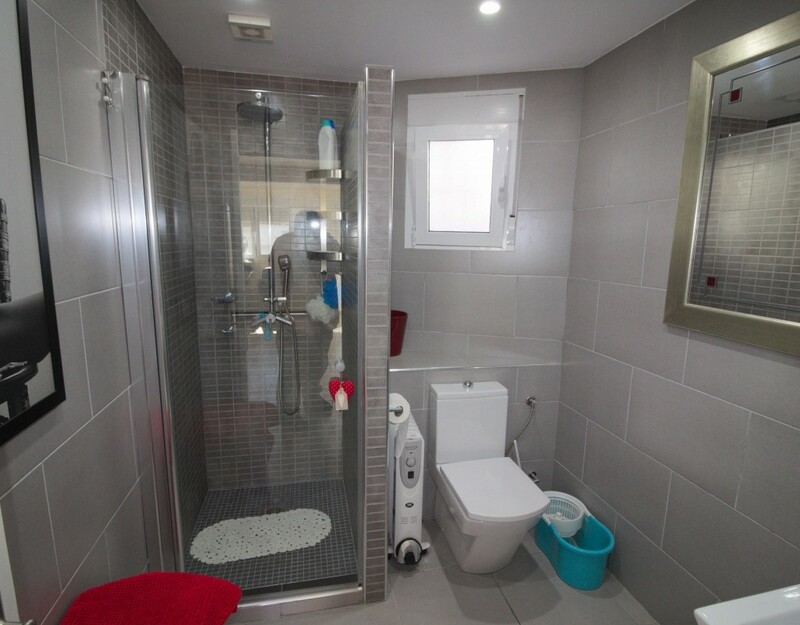 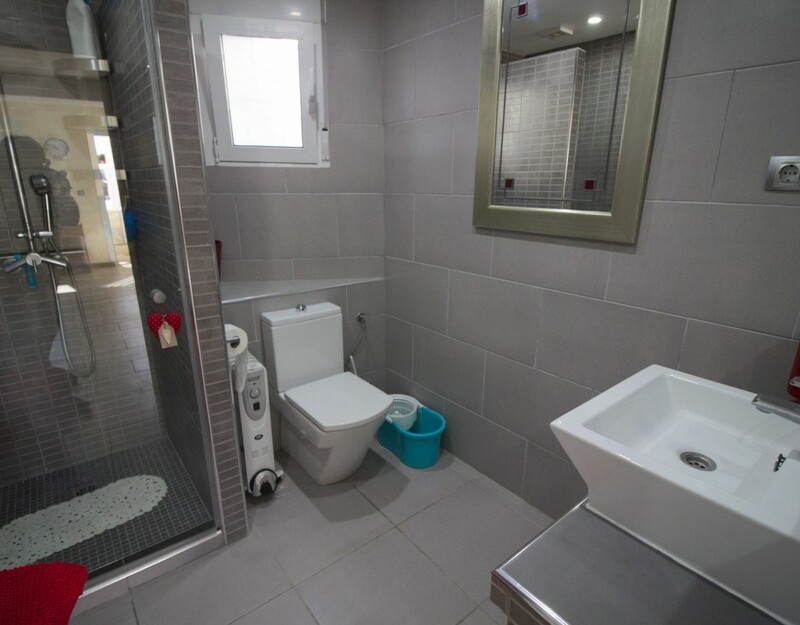 Situated just a 10 minute drive from the award winning blue flag beaches of Guardamar and la Mata as well as the city of Torrevieja it is only a 35 minute journey to Alicante airport and 55 minutes to the new Murcia airport.